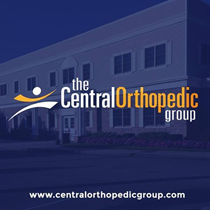 Incredible opportunity to join our rapidly growing orthopedic practice in the center of Long Island. Our practice features energetic and extremely hard working surgeons across all sub-specialties. We have all ancillaries, including MRI, Physical Therapy, Ultrasound, DME and Pain Management Suite. We are currently constructing a 10,000sq foot state of the art facility which would be our 3rd practice location. Opportunity for ambulatory surgical center buy-in exists as well. Excellent compensation package to start with attractive partnership track and the ability to become among the top earners in the country. We are looking for a motivated and hardworking individual to join our practice. Joint Replacement, Trauma or Pain Management preferred, however, we are willing to entertain all sub-specialties.